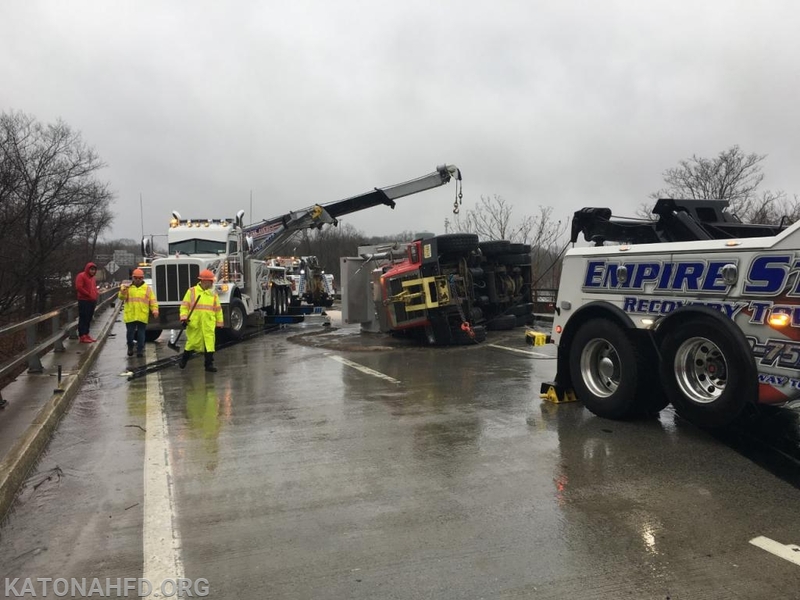 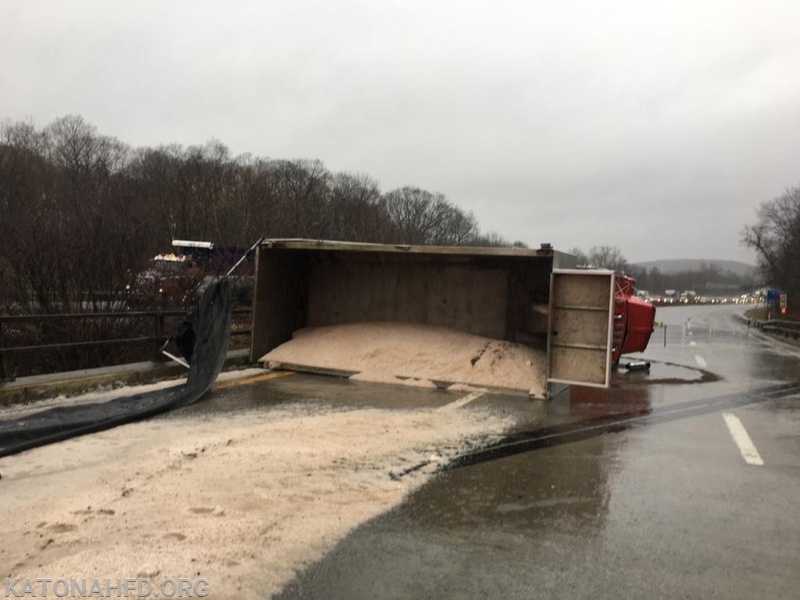 Katonah Fire Department was dispatched earlier Thursday morning to a motor vehicle accident involving a dump truck that overturned just north of Exit 6 and spilled its sand load over the interstate. 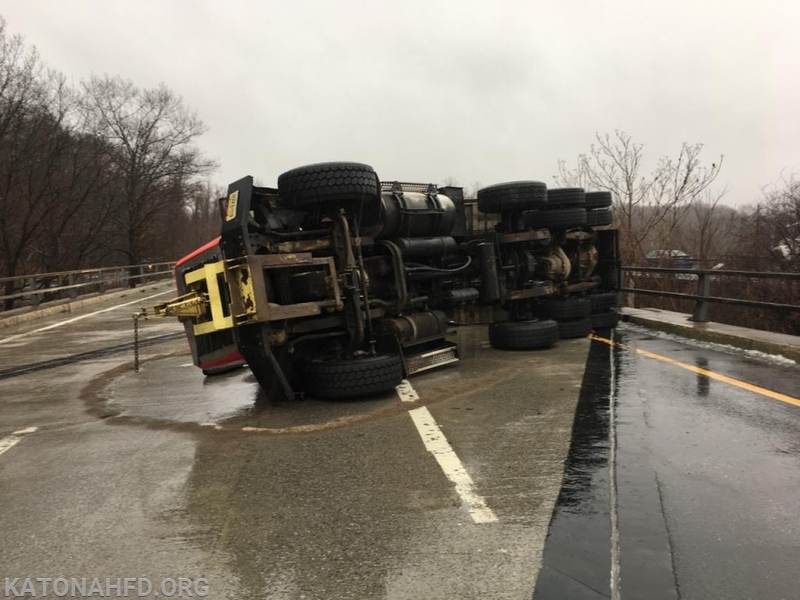 Katonah's Rescue 17 and Engine 116 responded and all three northbound lanes of the highway were closed down while the incident was dealt with and the overturned truck was righted. 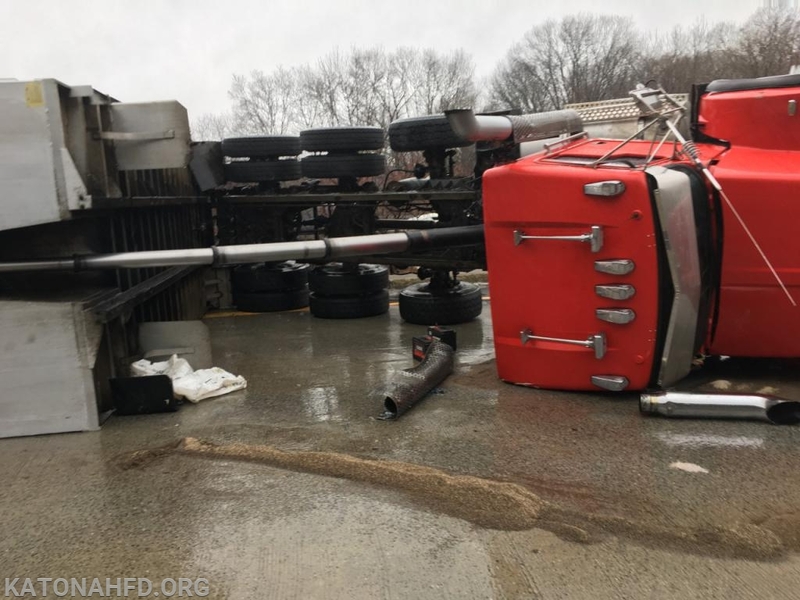 Fortunately, there were no serious injuries as a result of the accident, although I-684 north was closed down for an extended period of time. 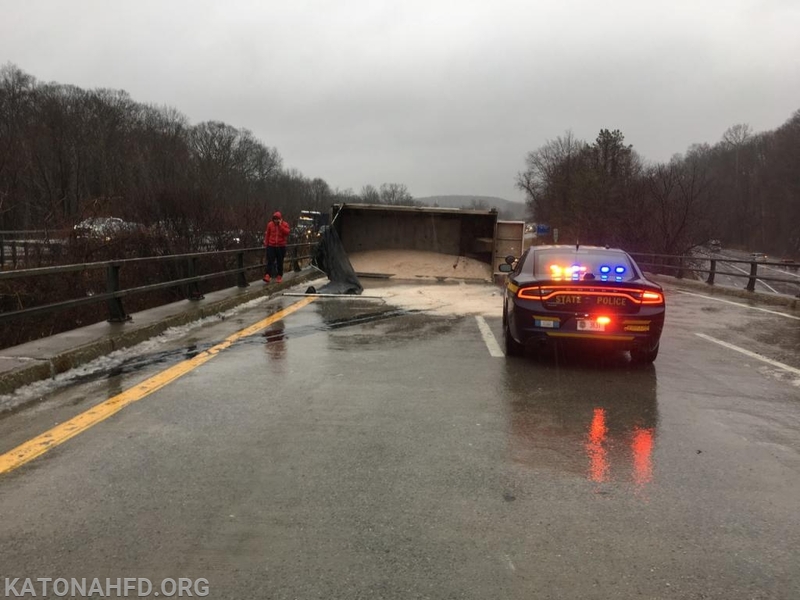 Katonah units were operating at the scene for approximately two hours.